Halyard bags - not all boats have them, but that doesn't mean you can't add them! 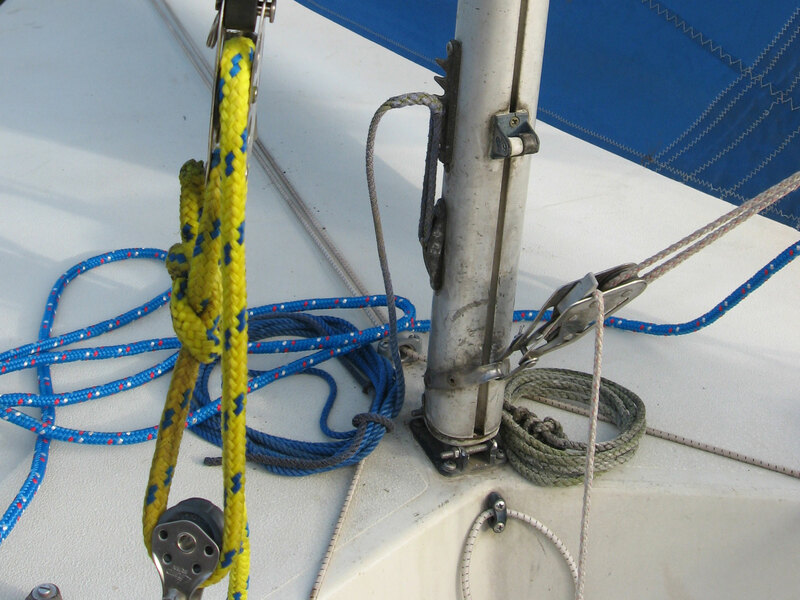 Not all boats need halyard bags (for example Lasers with no halyards); mostly double handed boats such as Enterprises, RS's etc can have lots of rope floating around the cockpit getting in the crews way. 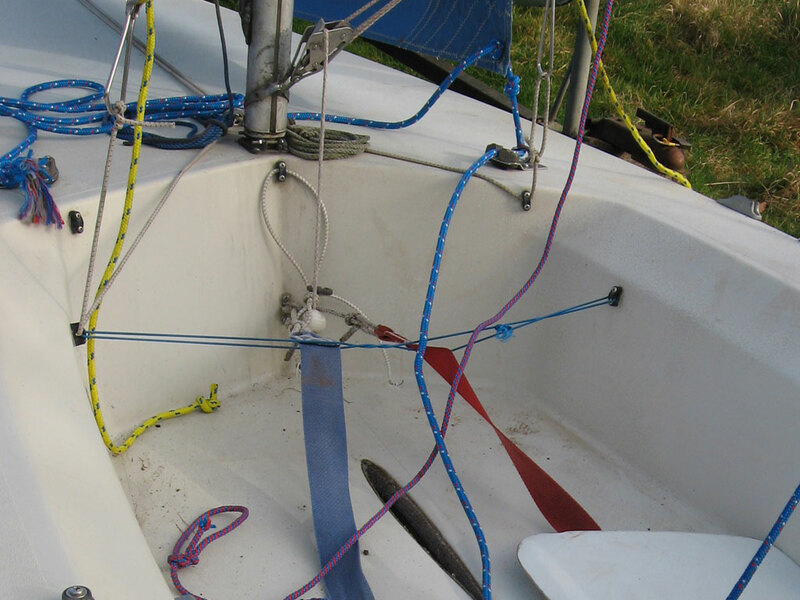 Newer boats tend to be designed with this in mind, and have halyards or control lines passing through bulkheads, integrated into the deck etc, but older boats like Enterprises just let the rope go wherever it wants to. Cue the halyard bag! Our Laser 2 had no bags previously, as you can see in Photos 1 and 2, the ropes are just left lying around. Not just looking untidy, they also get tangled up around the crews feet, get in the way in general and if you capsize, you have lots of rope floating around you. Photo 1, Ropes all over the place! You can purchase "proper" halyard bags from marine chandleries, some to fit specific boats, but these are typically around the £15-20 mark or more, and they may not fit your boat that well. We decided to go for a cheaper route, with something that looks and fits much more appropriately. We purchased a couple of see through "tuff-bags", which can be used for pencil cases, documents etc. They are available in a range of sizes, typically A3, A4, A5, and A6. We opted for the A5 size, which fit just nicely against the front of our cockpit. They are see through so you can see quickly what's in them, tough, well made, and have a zip if necessary, although they way they are rigged on our boat, the tops are pulled shut anyway. 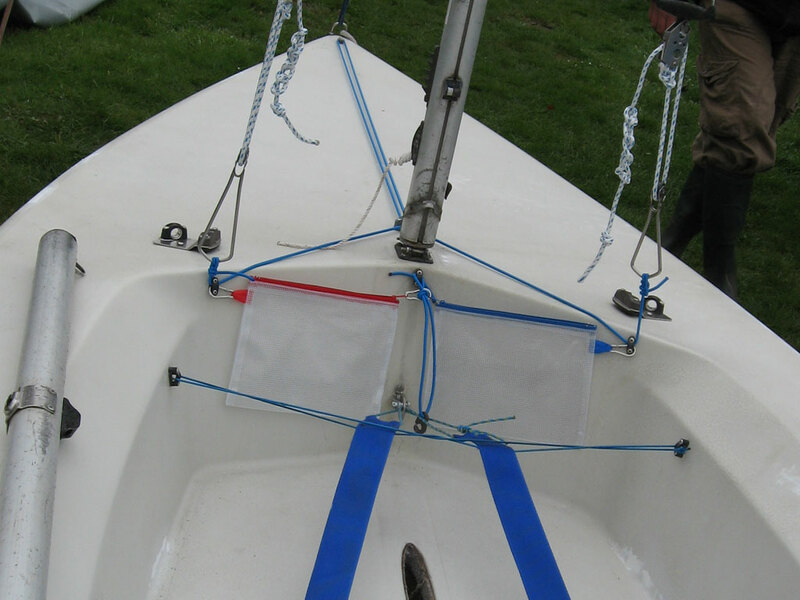 Depending on your boat, you may have to add fixtures to the front bulkhead to place these bags; we were fortunate enough to have bullseye fairleads at the front for the trapeze elastics, which were large enough to clip these bags on with carabiners as well as still pass the elastic through (see Photo 3). We clipped them on using the tag on the one side, and the zip on the other; this does mean we cannot zip them shut, but we have not found this to be a problem. 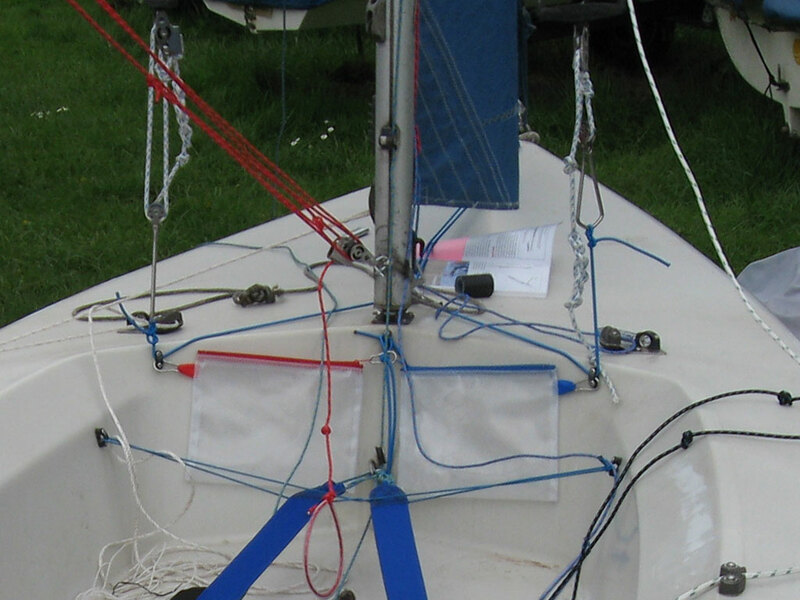 As you can see in Photo 4, with halyards and the end of control lines stowed in the bags, there is less clutter in the cockpit. Please ignore the mess of ropes in Photo 5, as we were in the middle of a re-rigging session! Photo 5, After, a tidy cockpit, can't say much about the deck though! 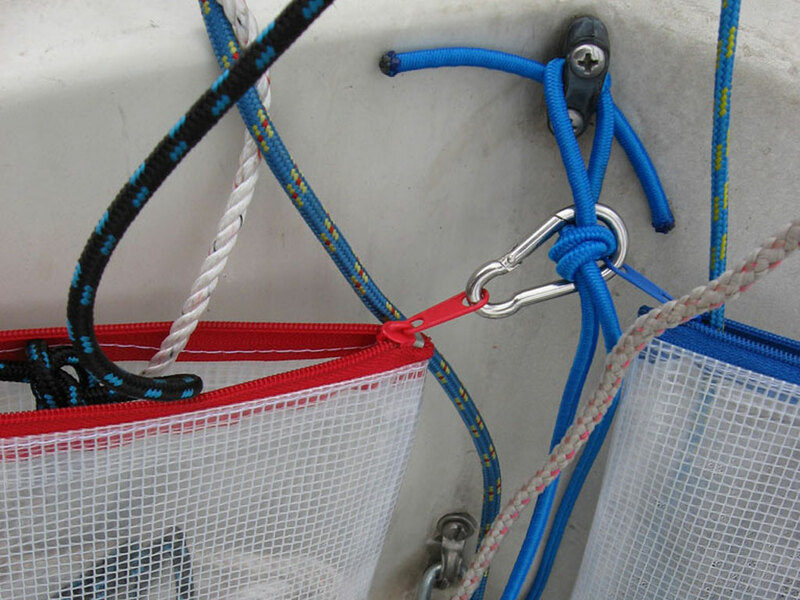 Finally - although they are called halyard bags, they can used for other purposes such as housing control line ends if you're cruising rather than racing, holding race course layouts (best to add another waterproof pouch inside), spare shackles and tape, and the occasional drinks bottle! The best bit of all this - they cost £1 each (available from The Range or similar products from most stationary shops)!